Billions of gears are manufactured every year to suit different industries, for example automotive, robotics or aerospace. The gear cutting process represents the central phase which marks the future performance and design life of the gear itself. Thereby, the performance of a gear transmission relies heavily on the accuracy of the gears. Precision can be reached by cutting process with gear cutting tools. 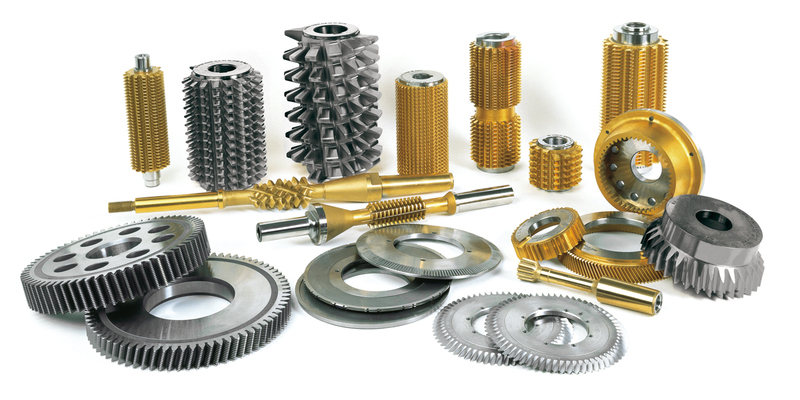 The gear cutting tools play the main role and are responsible for making this difference. They are used for the production of gear teeth. Moreover, the shape of the gear cutting tool teeth, the shape of the gear tooth and the kinematics of the gear machining process are completely interdependent and a change of one of these will affect the others. In order to provide you with the most performant gear cutting tools, Samputensili Cutting Tools Srl, with its solid expertise, offers a wide range of cutting tools. We use superior materials, from high-alloy HSS-PM steels to carbide and MC90, and the best coating to ensure the longest life of our tools. Thanks to the tight partnership with the worldwide leader of coating, Balzers, we provide the most efficient coating available on the market directly in-house. All our cutting tools are custom-designed, ensuring the best quality tool design for each specific part. Our expertise in the cutting tools industries has been strengthened over the years and Samputensili Machine Tools Srl is a great reality in the manufacturing of machine tools for grinding, resharpening and hobs relief grinding machines. Our teams are well prepared to design and manufacture tailored machines in order to meet customers’ needs, providing the most cost-effective solution.